Spaulding Youth Center is pleased to announce Indrika Arnold has joined its board of directors. Ms. Arnold is a financial professional and brings over fifteen years of experience in the wealth management industry to her new role. Ms. Arnold currently serves as a Family Wealth Advisor at Harvest Capital Management, located in Concord, New Hampshire. 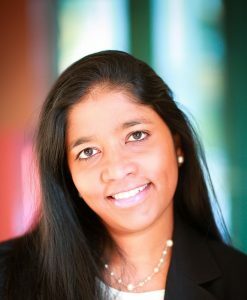 In this role, she provides financial planning services to individuals and multigenerational families and has a special interest in helping and educating the next generation to be responsible stewards of wealth. Prior to working at Harvest, Ms. Arnold was a Family Office Advisor at Daintree Advisors LLC in Boston, Massachusetts. Ms. Arnold joins Spaulding’s board of directors with hopes of becoming involved in a broad range of activities and initiatives that will ultimately help strengthen the organization. She first heard about Spaulding Youth Center from current board member Hali Dearborn. After a recent tour of the organization’s campus and meeting students and staff, Ms. Arnold accepted the offer to join the board. She attributes her decision to the remarkable and lasting impression from this campus tour. Ms. Arnold earned a Bachelor of Science in Applied Computer Science from Keene State College and a Master of Science in Financial Planning and Certificate in Taxation from Bentley University. She earned the Certified Financial Planner™ certification in 2009. She also serves on the board of directors of the Northern New England Chapter of the Financial Planning Association as well as the New Hampshire Children’s Trust. In her spare time, Ms. Arnold enjoys spending time with her husband and eight-year-old daughter.